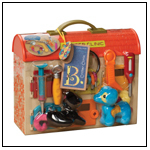 TDmonthly® - New Toys and Games: Sitting Brown Cow from BULLYLAND TOYS INC. 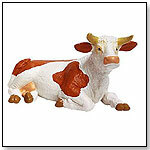 This realistic cow figure is part of the Bullyland Farm collection. It measures 4.5."